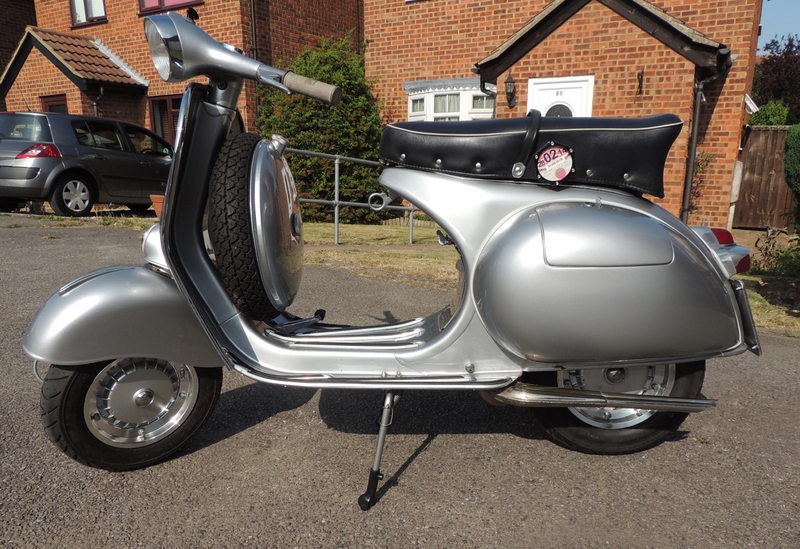 Below shows my GS when it arrived in November 2011. 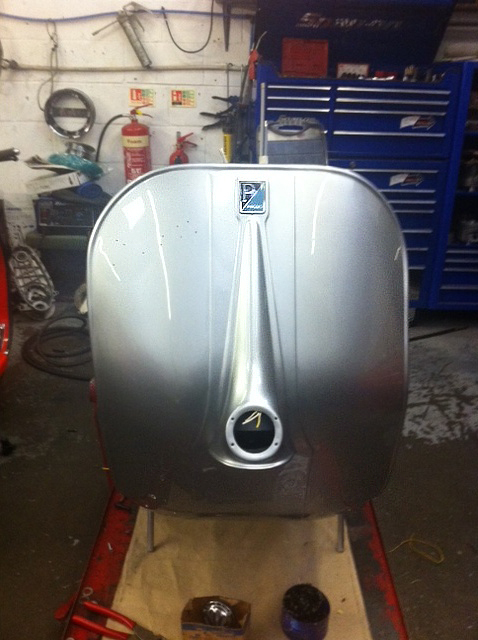 It looked pretty good especially once I’d added all the chrome but it had quite a few holes and dents. Unfortunately, the engine leaked oil and the brakes and suspension needed replacing. 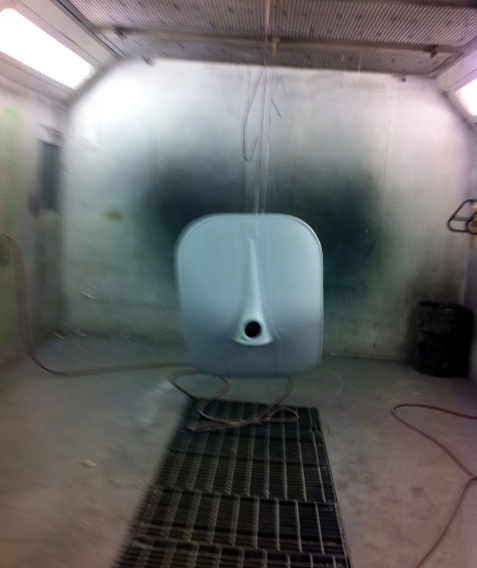 I decided to have some fun with it in the summer and then get it fixed once the bad weather came. 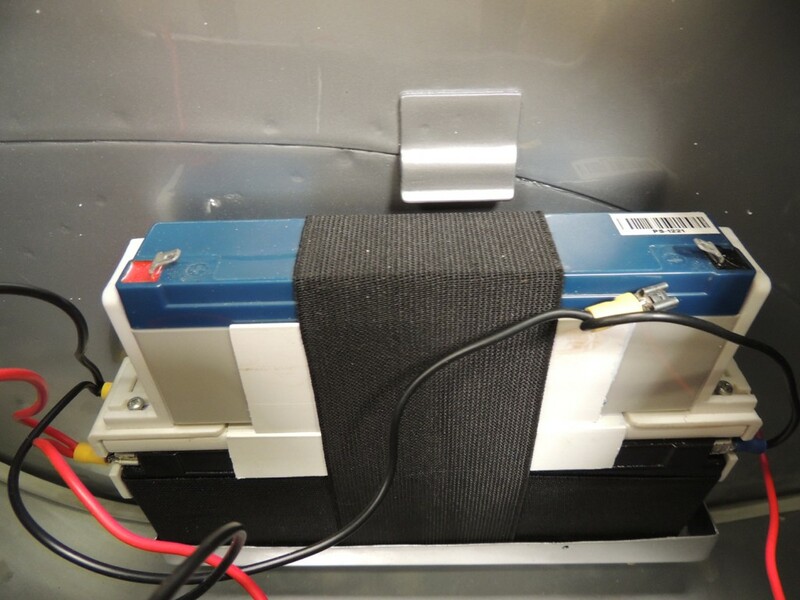 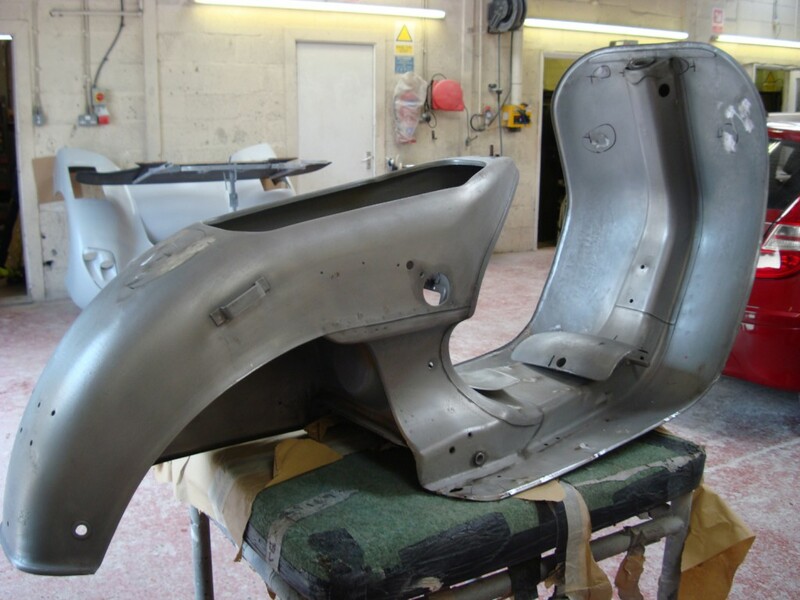 These three photos show the dents and holes on the day in November 2011 when I took it to JB Tuning for a complete restoration. 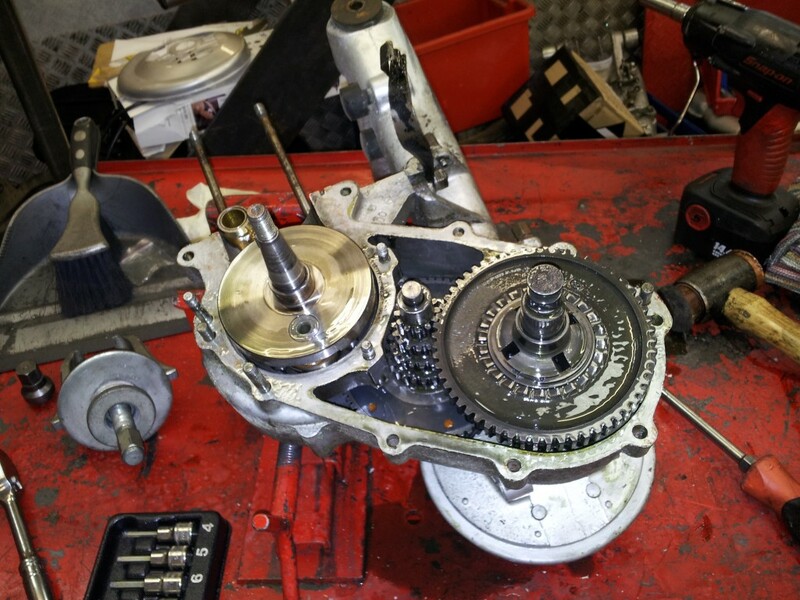 The next three photos show JB Tuning taking it apart. 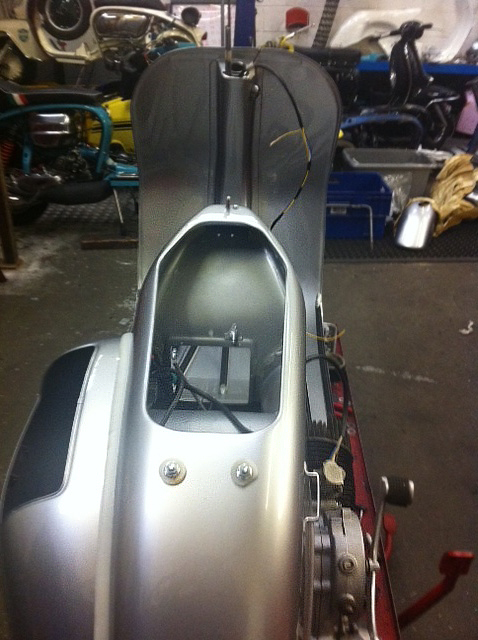 The next two photos show it being put on a jig to measure and straighten the chassis. 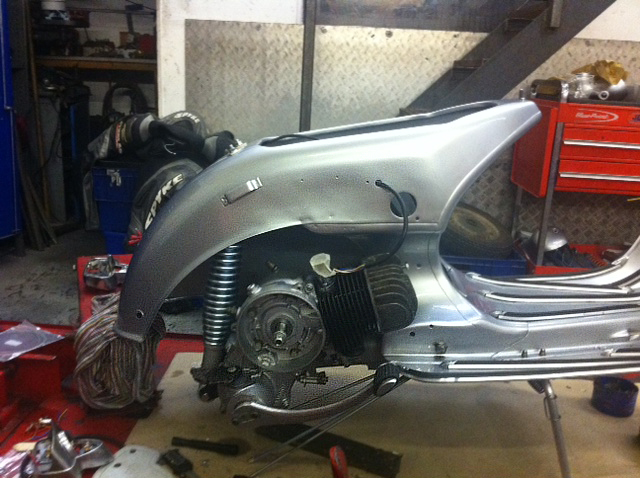 The next photo shows the engine being stripped down. 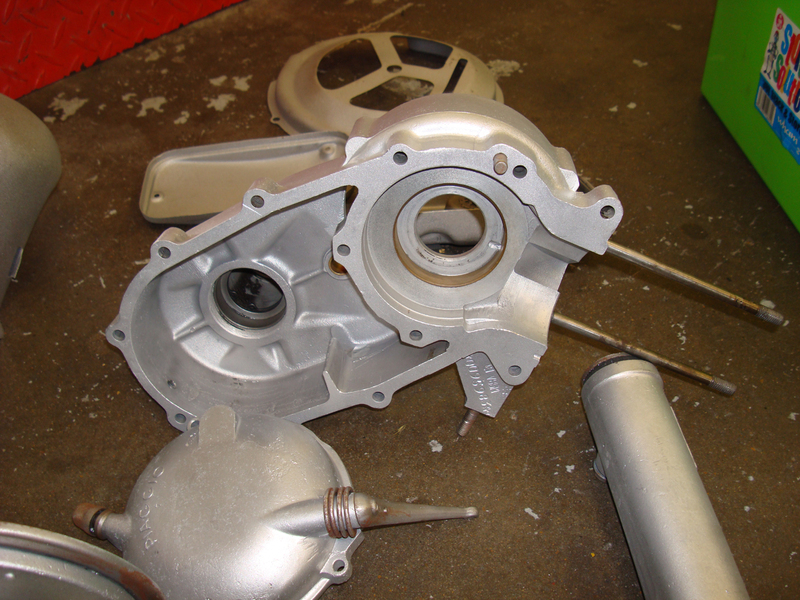 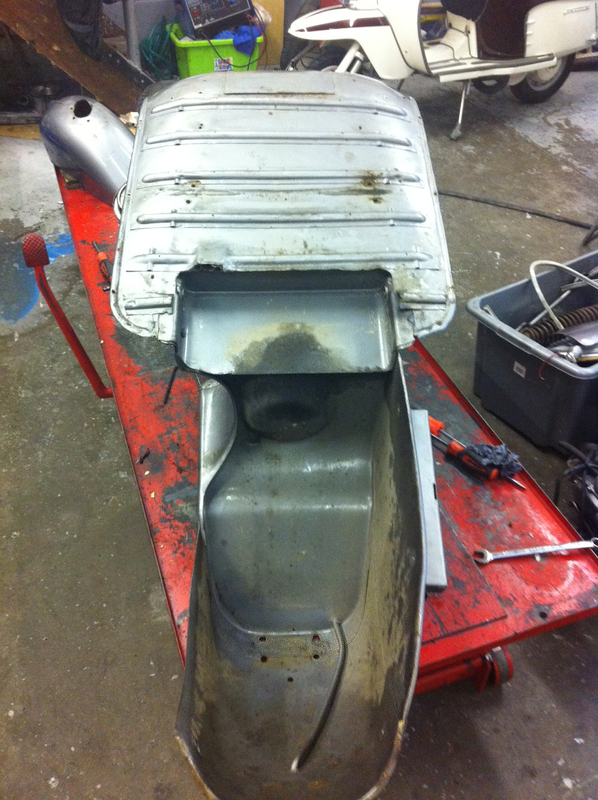 The next two photos show the engine and mount after they have been blasted clean. 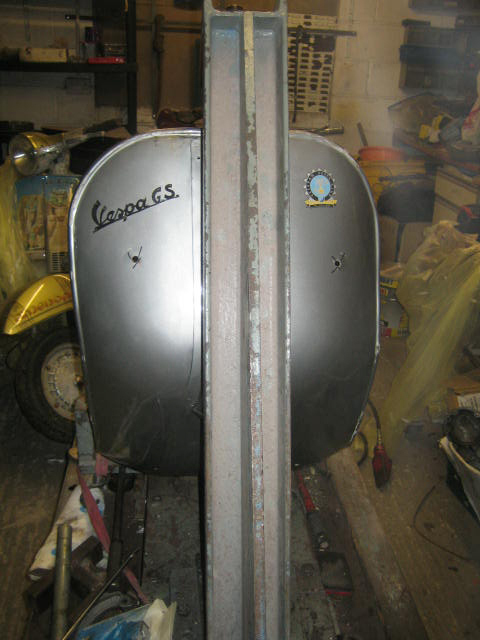 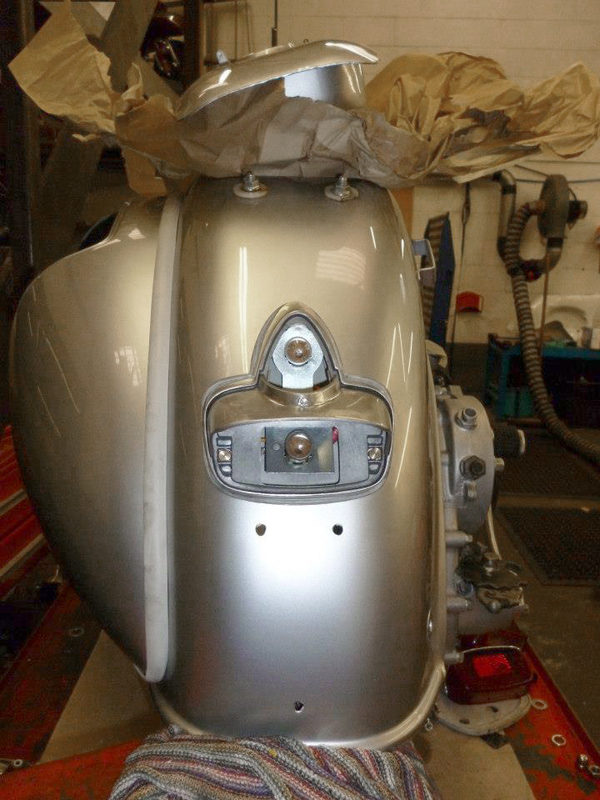 The next three photos show the scooter after it had been blasted back to bare metal and all holes welded at Brewster Motors. 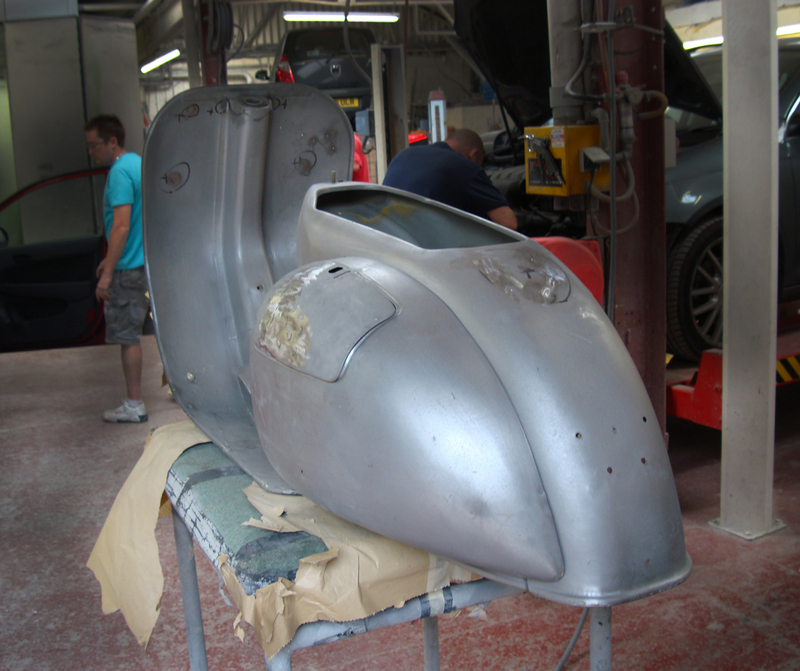 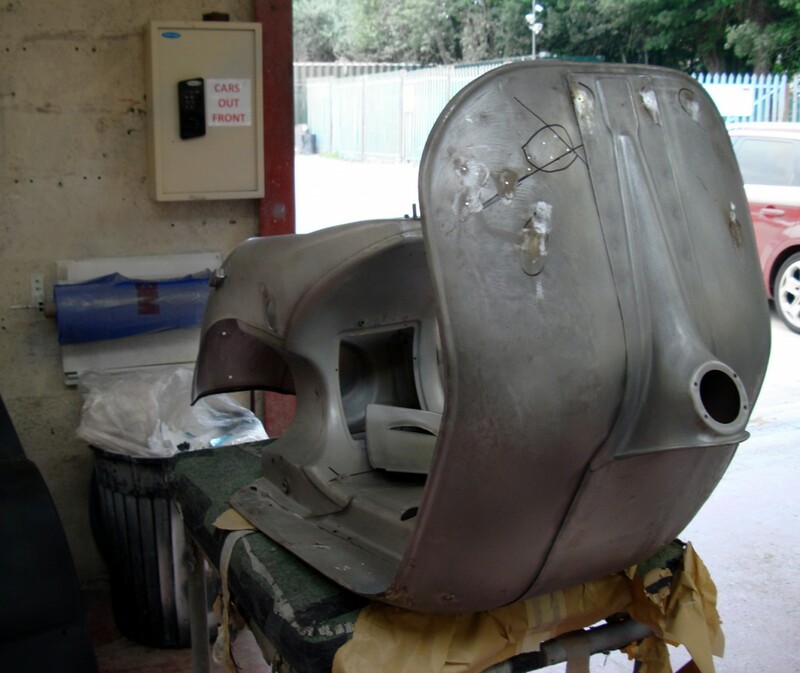 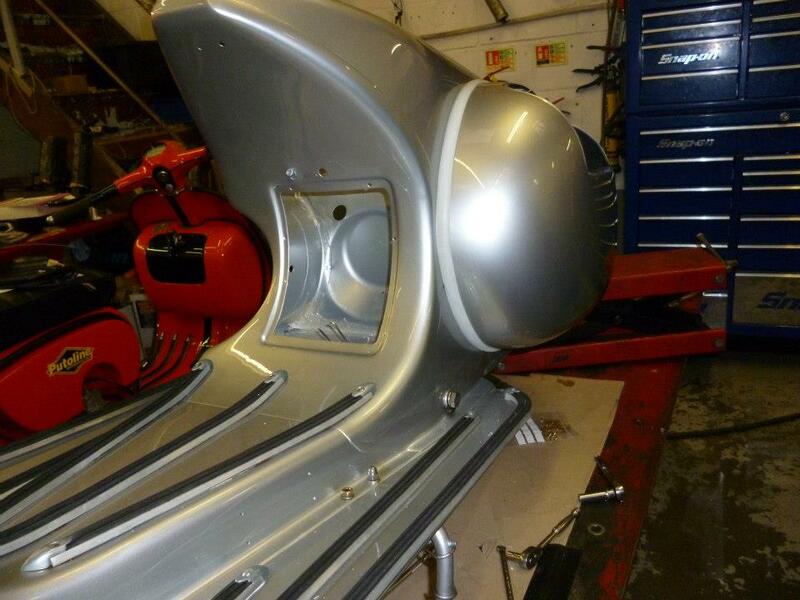 The next photo shows it receiving the coat of primer paint. 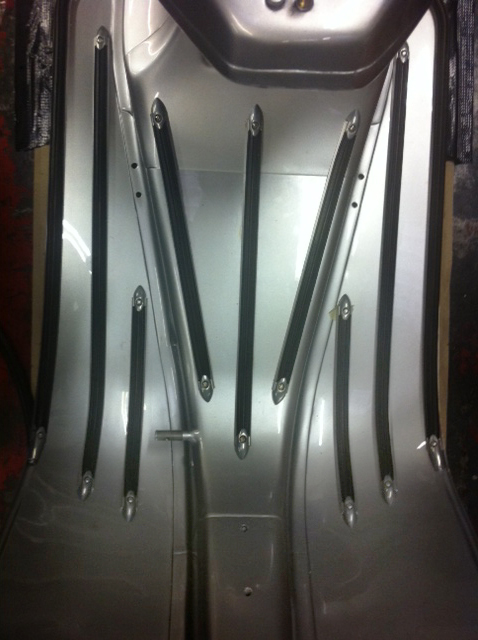 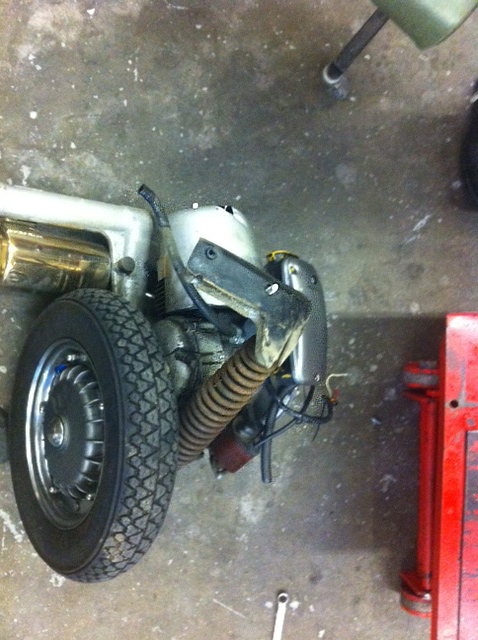 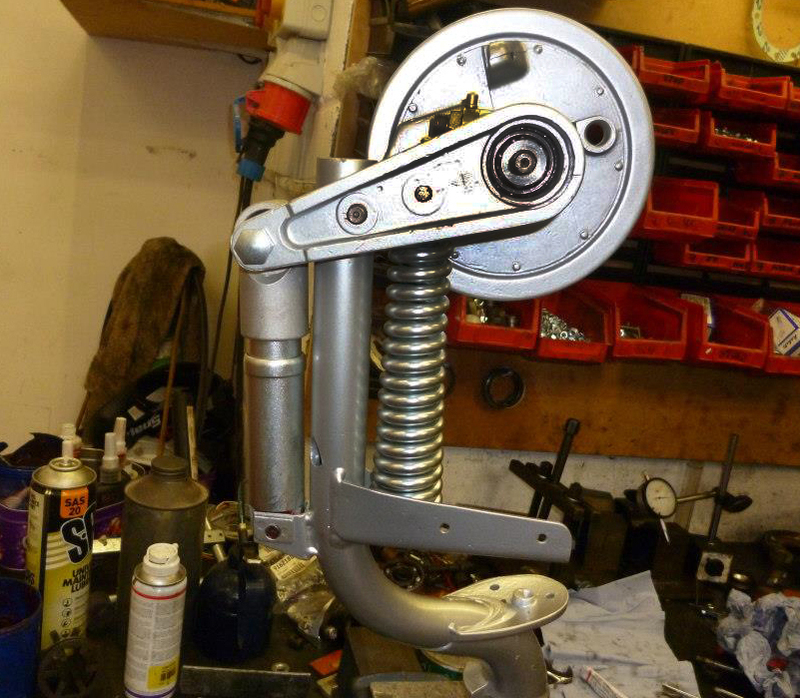 The next twelve photos show it being reassembled at JB Tuning. 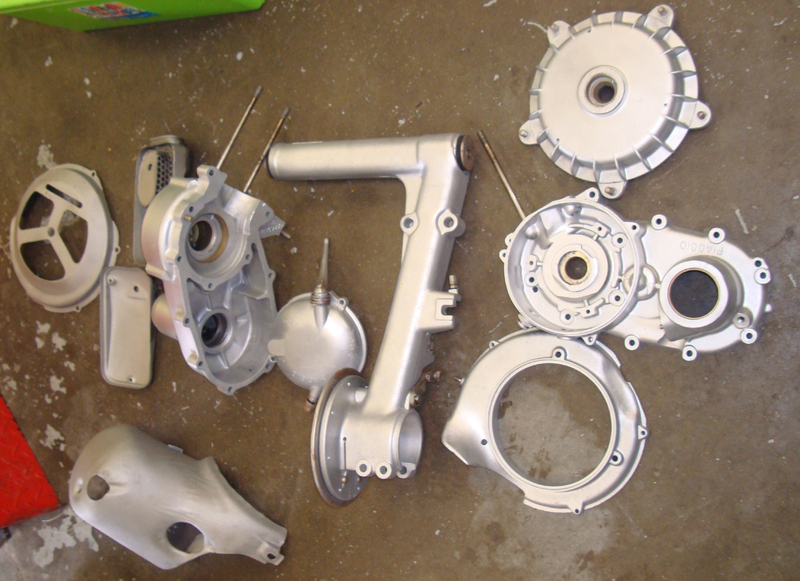 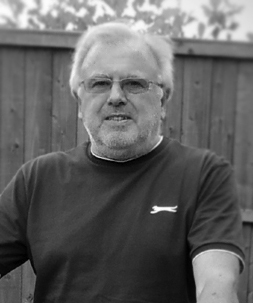 The next seven photos show my GS once it was returned. 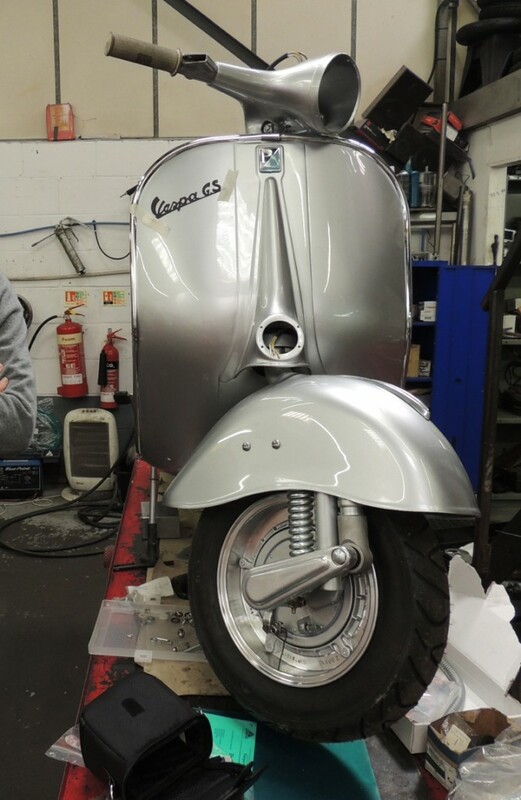 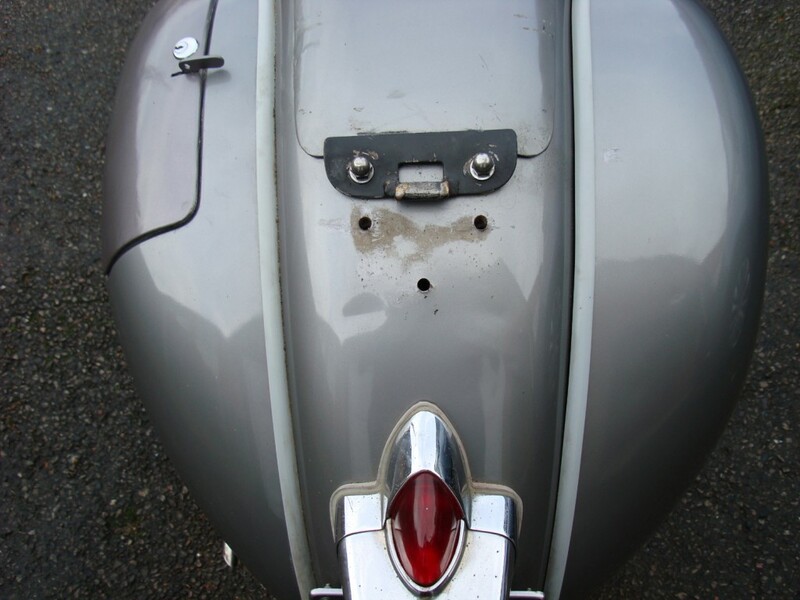 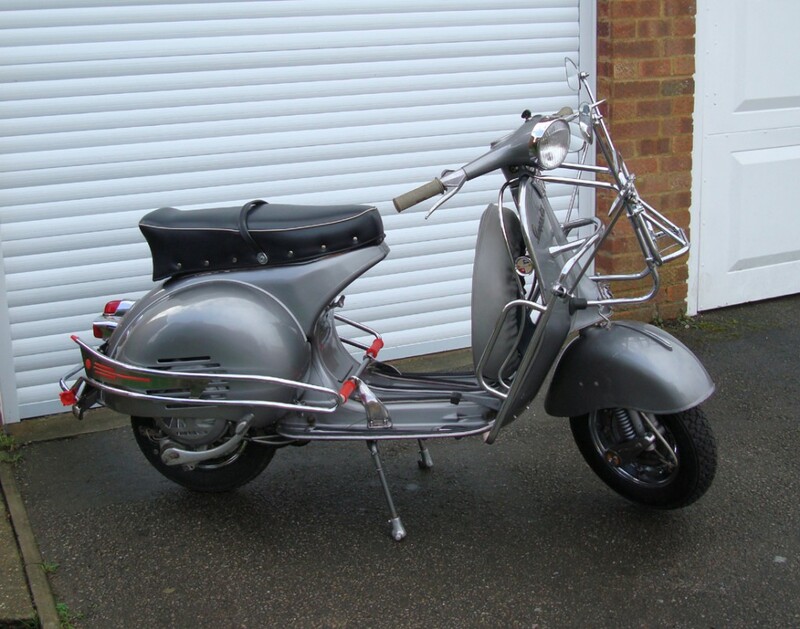 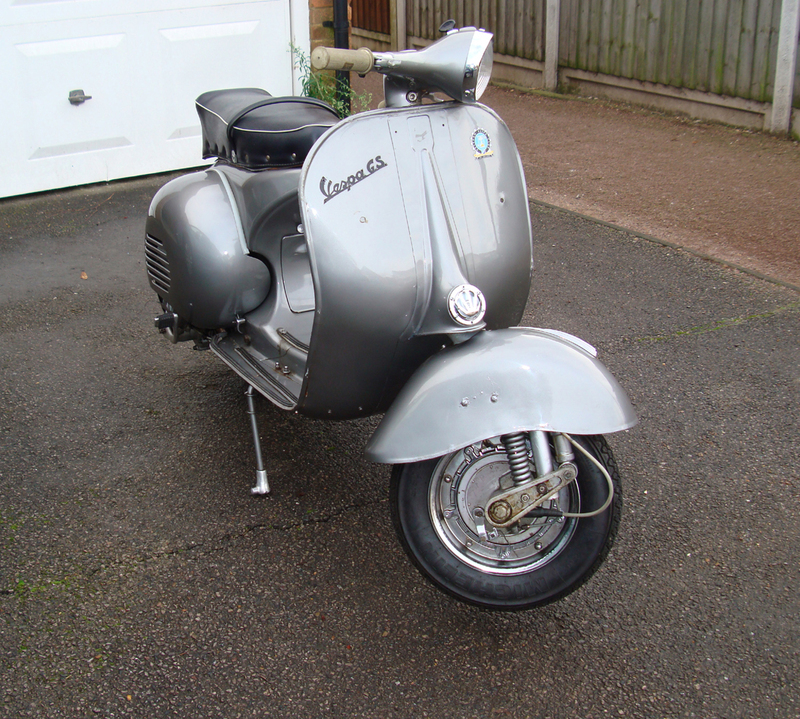 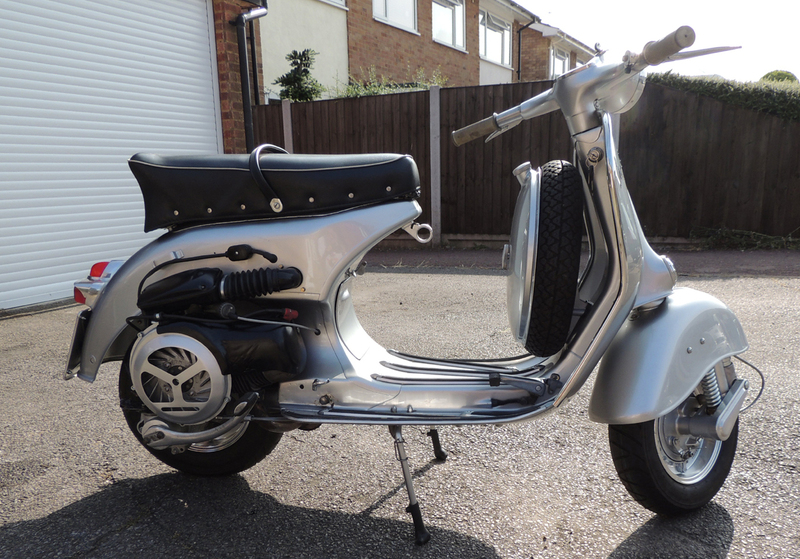 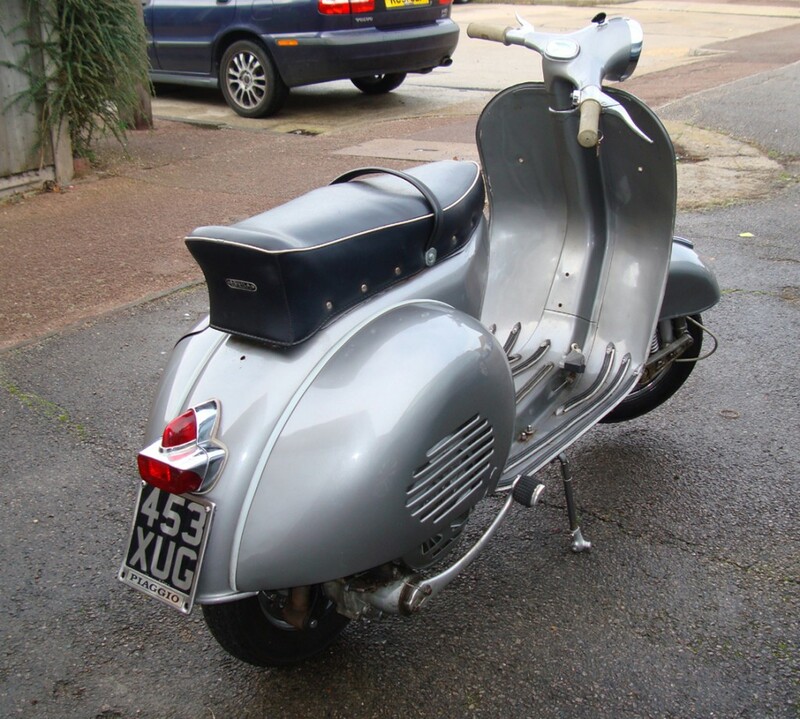 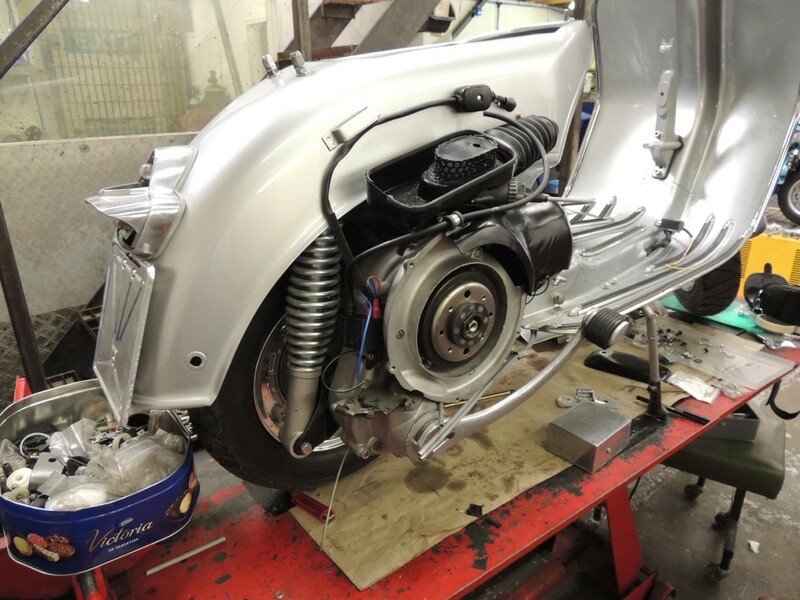 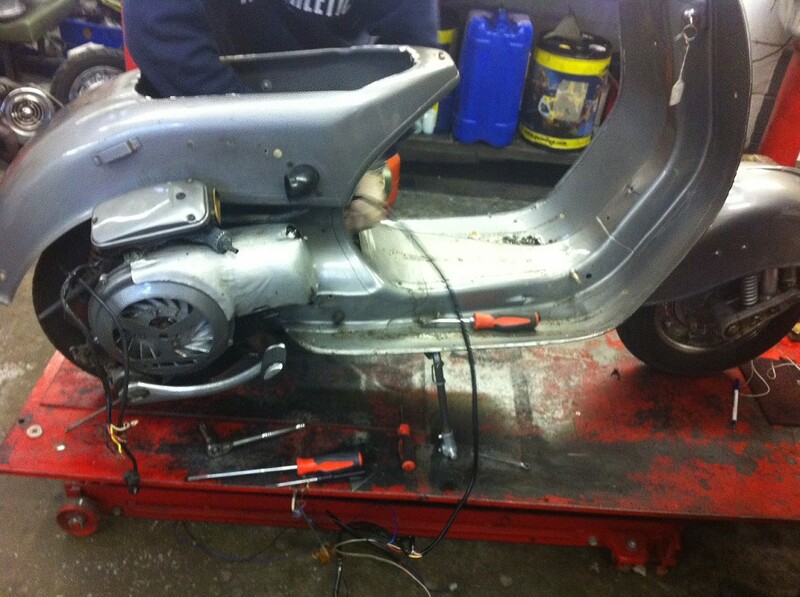 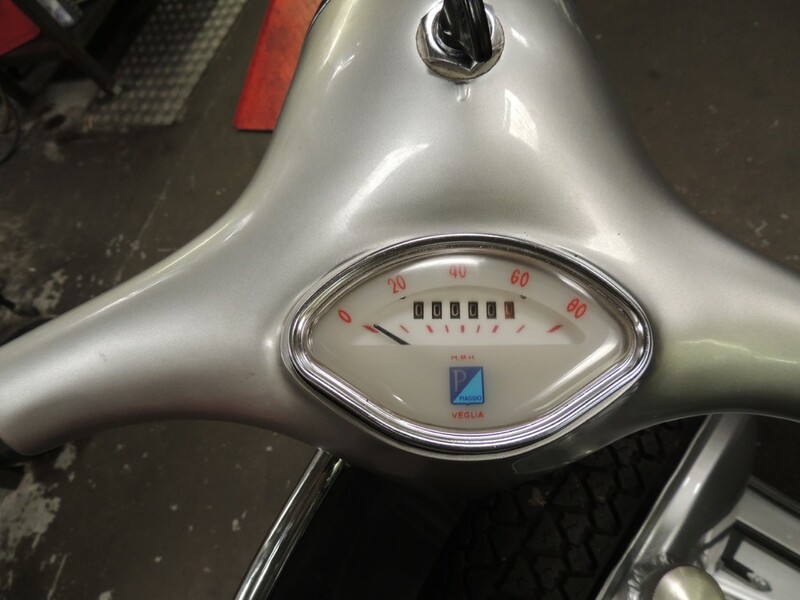 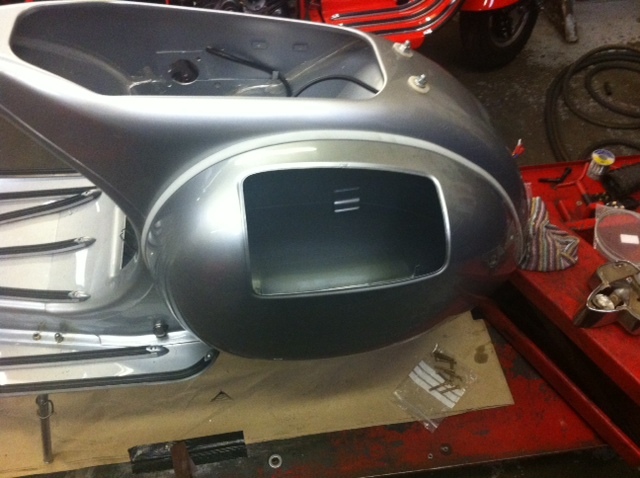 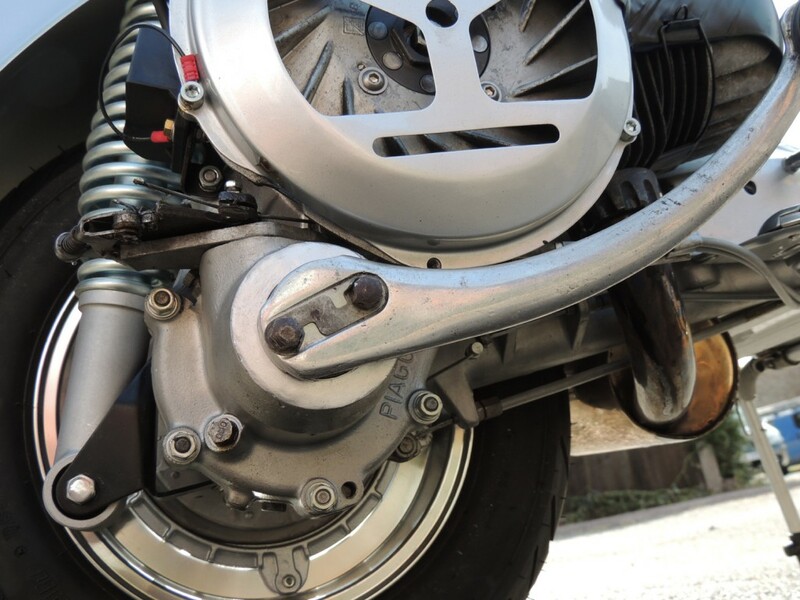 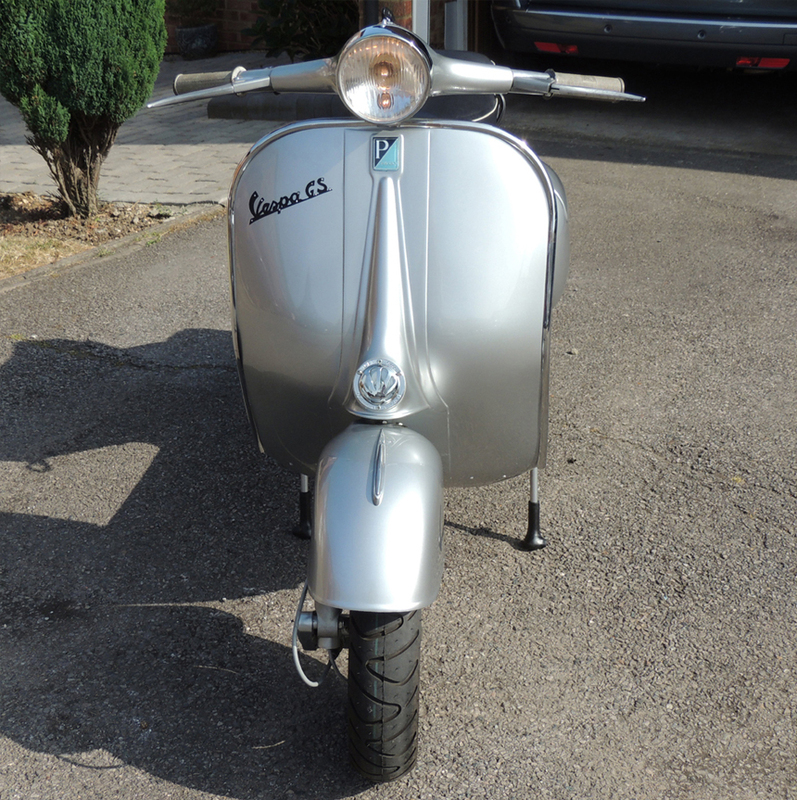 The rebuild engine has been fitted with Vespatronic electronic ignition which comes with 12 volt electrics. 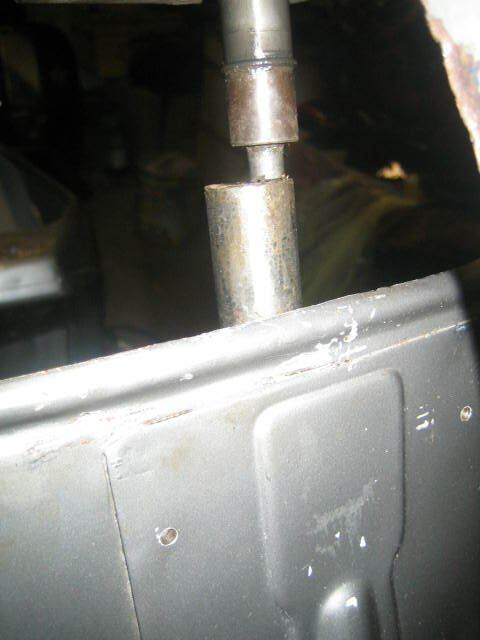 The rear shock absorber has been renewed. 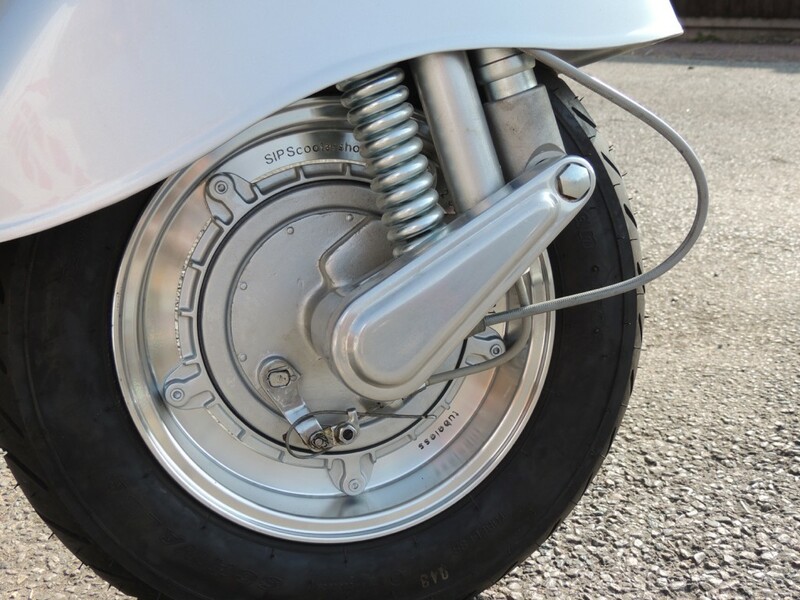 The front spring and damper have been renewed. 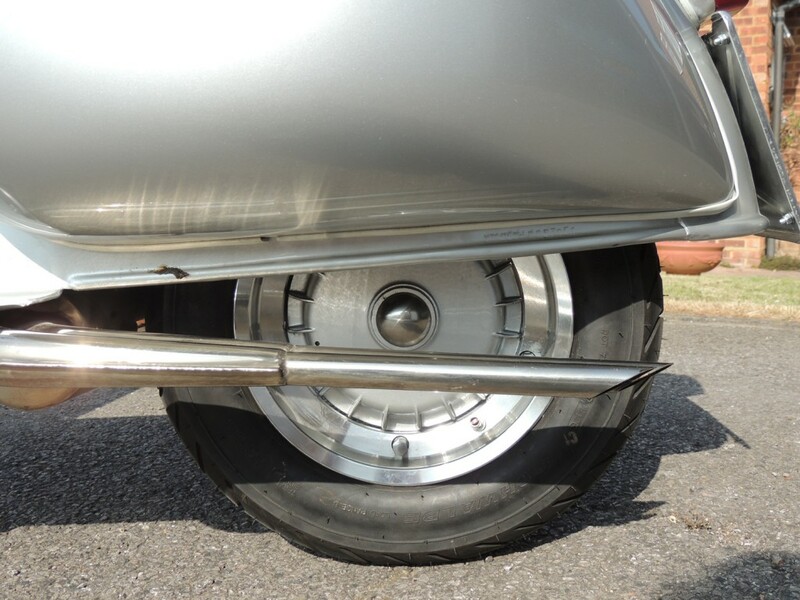 New wheels that take tubeless modern tyres have been used both front and rear. 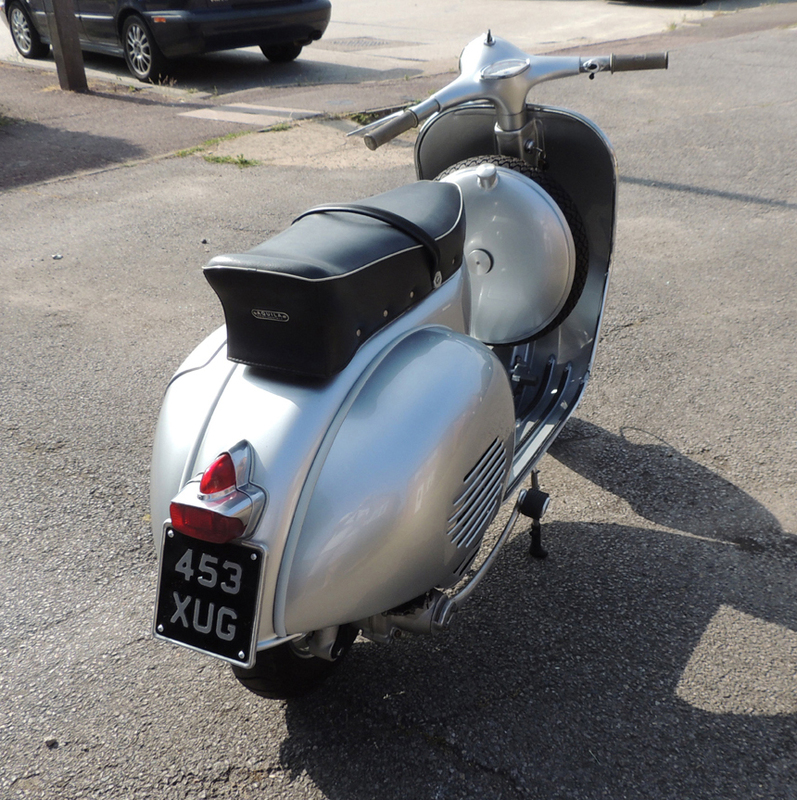 The twin abarth style exhaust that came with the scooter was sound and as it looks pretty good I decided to keep it.